Mission Statement: The Cobb Parks Coalition supports the expansion of Cobb County greenspace through full funding of the 2008 voter-approved $40 million Cobb Park Bond & enlarging stream corridor buffers. Purchased with the 2006 Park Bond, 26-acre Mabry Park is set to officially open with a ribbon-cutting this May 2 at 6:30pm! ​Info on how to join in the celebration here! "The park is located at 4345-4063 Wesley Chapel Road, just below the intersection with Sandy Plains Road. 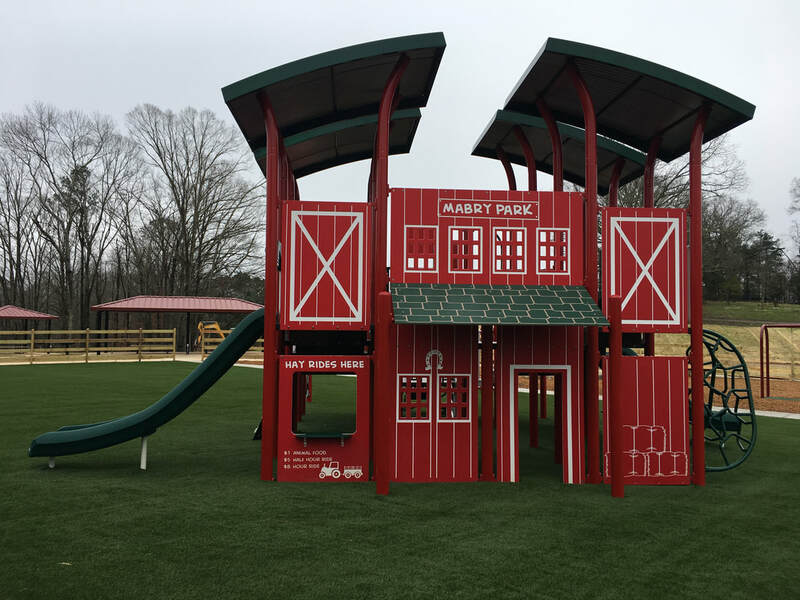 More than a decade in the making, Mabry Park joins East Cobb Park as a passive public park in the community." Read more in the East Cobb News article. 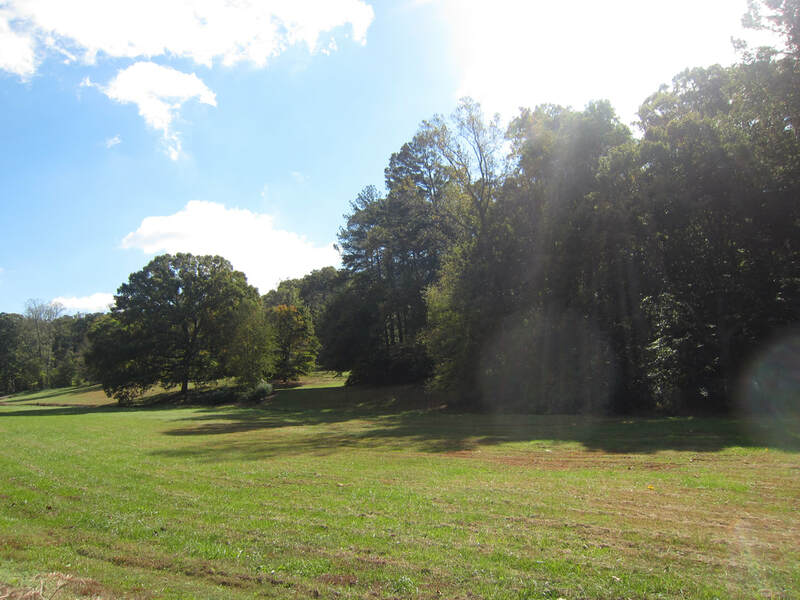 Since 2017, under the leadership of Chairman Boyce and the Board of Commissioners, over 400 acres have been saved with the Park Bond 2008 as voted by over 65% of Cobb citizens. $27.5 million dollars has been allocated from the $40 million approved & collected in the Debt Service Fund, so only $12.5 million remains to be allocated for purchasing properties to be saved as greenspace! Board of Commissioner meeting on Tuesday, May 14 at 9:00am at 100 Cherokee Street, 2nd floor, Marietta, GA 30060. We can show support by wearing green. If you want to speak at the meeting about the Park Bond, let's connect. 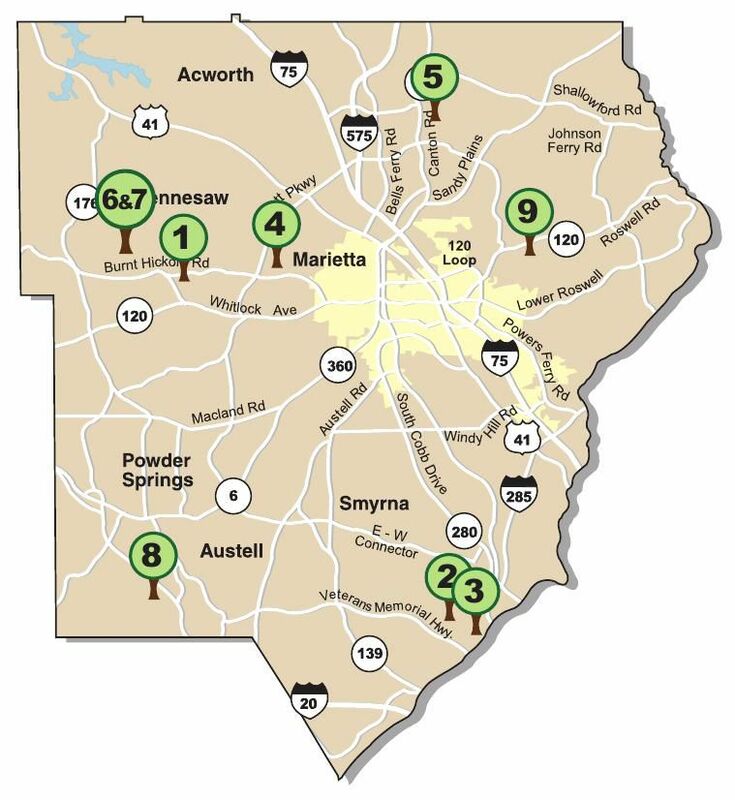 The next Cobb Parks Coalition meeting on ​Tuesday, May 14 at 10:30am near the Square in Marietta: 31 Mill Street, Marietta, GA 30060. Share the Cobb Parks Coalition website and Facebook page with friends & neighbors! Update in December 2018: $27.5 million of the $40 million Park Bond referendum has been spent with Debt Service Funds, as planned since 2008 when voters overwhelmingly approved this at the ballot box. ​See the MDJ article with a map of Cobb's newest parkland for more information. 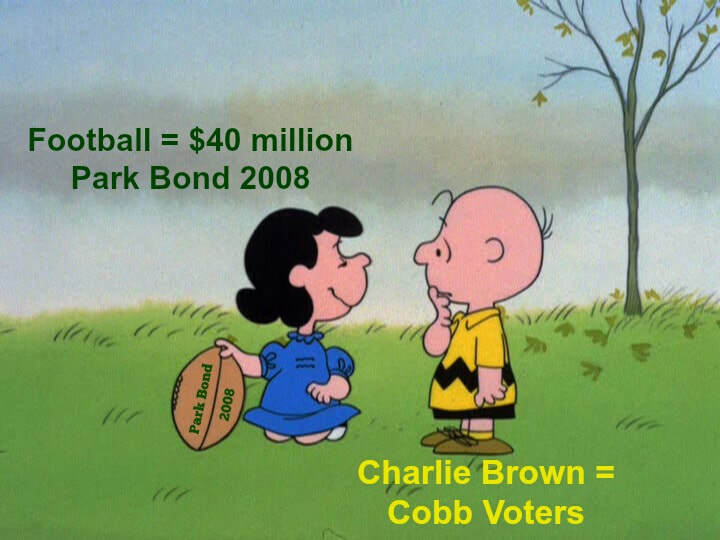 54-acre Tritt property in East Cobb was a main impetus for Park Bond 2006 and Park Bond 2008. Cobb County and the Tritt family have come to an agreement to save the land as a future park. Final approval takes place in Board of Commissioners meeting on June 26, 2018 at 7pm. 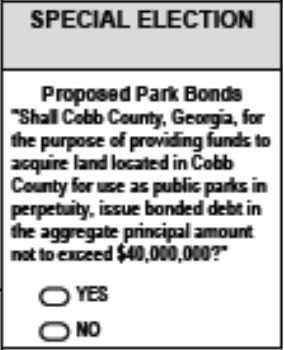 Cobb voters passed a $40 million Park Bond referendum in 2008 to buy properties to save as parks. On April 11, 2017, the Board of Commissioners provided $27.5 million towards Park Bond funding, so now $12.5 million more is needed to fulfill the referendum. Chairman Boyce has championed the Park Bond voter-approved referendum that 2 previous Chairmen and the Board of Commissions neglected to fund for over 8 years. We thank Chairman Boyce and the current Board of Commissioners for the July 25 meeting results. Chairman Boyce and other Commissioners have promised to fund the remainder of the Park Bond in a future budget, which is also possible without a tax increase simply by a continuation of the millage already available. Read the finer details here. Share The Cobb Parks Coalition website & Facebook page with friends and neighbors! Join Us: Become a greenspace advocate by attending the next Cobb Parks Coalition meeting. Contact Roberta for more information.